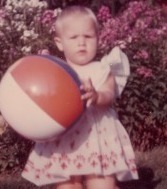 This is me ready to take on the world at a very young age in Westbrook, Connecticut. I was born and raised in Bay Ridge, Brooklyn, New York. After the summers spent in Westbrook my parents made sure I spent the rest of my childhood summers in the lovely Catskill Mountains of New York State. My dad gave me the love of poetry and writing as he was popular Latvian writer and poet Eriks Raisters. I started writing some poems in Latvian when I was very young and one of my most treasured gifts from dad was a book of children’s poems. It is with me to this very day. Kept writing poetry all through my teen years. Now I love to keep writing and sharing with everyone and I’m glad when people enjoy what I’ve written. I love the beauty of nature, animals, good times, and rock and roll. I believe in all good causes and extend a helping hand when I can. My faith in the Lord leads me through life. 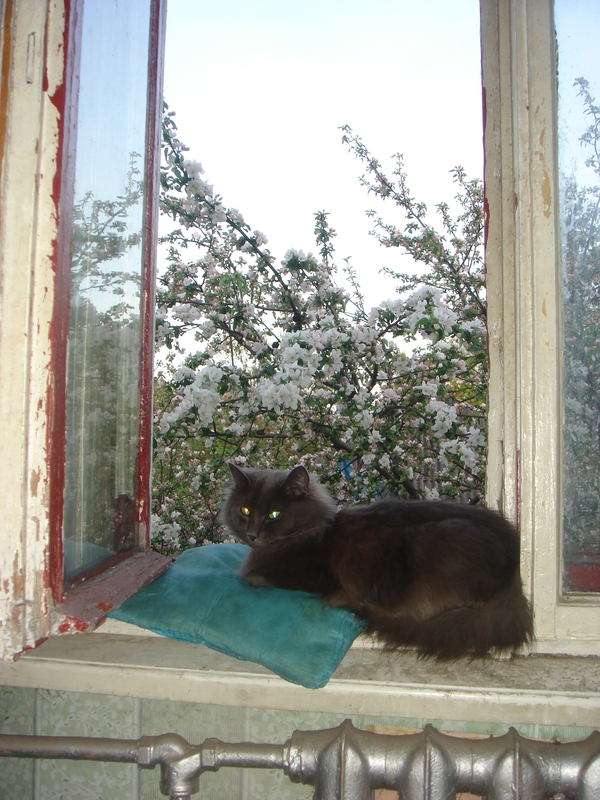 I live with my husband Martin and our wonderful adopted cat Sid in the suburbs of Riga, Latvia. Thank you for following my blog. I enjoyed visiting yours – such beautiful pictures! You welcome FeetfromSshore. Nice to meet you. Hope you have a great weekend too Betty! Many of my friends in High school in Indiana were from Latvia. They were warm, wonderful people. Your pictures are beautiful. Glad you liked my pictures. There are Latvians all over the U.S. Nice to hear you have Latvian friends Gator Woman. Latvia is worth taking a look at. You would like what you see Rajiv. Glad you like the photos. Thank you for following me at, “Through The Cracked Window”, I am honored and appreciate it a great deal. Nice to meet you. Thank you for sharing a little about yourself with us here. Pretty kitty! Also, thanks for stopping in my blog. God bless you and I hope you have a wonderful weekend! You have packed an awful lot into your life. Thank you for following Bob’s blog. Thanks for following my blog. You seem to have an interesting life. Buddy says Meow. I liked your About Page. It gave me Ideas for my About page. I hope you check it out. Thanks again. You welcome Daisy. I will take a look at your about page. Sid is gorgeous! He could be a cousin to my Barmalei. I hear Riga is even more beautiful now than the way I remember it almost 60 years ago. Nice to meet you too Dolly. Riga is a lovely city but I miss my hometown NYC. Enjoy your blog and recipes. My Sid sends your Barmalei sincere meows. Meows and purrs to Sid from Barmalei and his sister Beba. No, I don’t Linda. Usually, if I don’t use my own photos I search for photos on Google images safe search. Many times I also find photos that say they are free to use images. About this one, I am not sure. Greetings from the Norton Museum of Art!